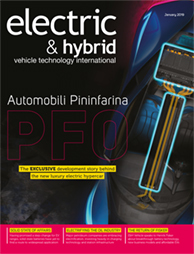 Electric & Hybrid Industrial Vehicle Technology Conference, which takes place in Cologne from June 24 & 25, is the world’s only conference exclusively dedicated to the design and development of electric and hybrid vehicle technology for the construction, agricultural, industrial and off-highway vehicle industry. The conference will bring together R&D engineers and heads of design and engineering from around the world to discuss, debate and analyze the growing possibilities and future developments for the hybridization and full electrification of construction, industrial and off-highway vehicles. 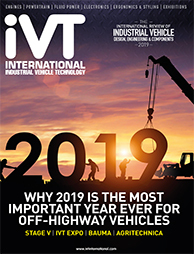 Although electrification in transportation is increasing, commercial, construction and agricultural vehicles pose their own specific design and development challenges. The Electric & Hybrid Industrial Vehicle Technology Conference will discuss and debate the technological breakthroughs required for increased deployment. Electrification offers the potential to significantly reduce emissions and noise levels, cut fuel use, lower maintenance costs and eliminate hydraulic systems, as well as a host of other benefits. 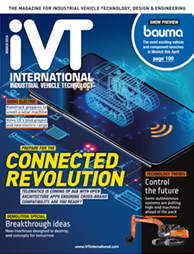 So this conference is a must-attend event for all OEMs, Tier 1 and 2 suppliers, and anyone involved in the industrial and construction vehicle market.